"Our partners have a successful history and we are thrilled to partner with them to bring the iconic Krispy Kreme experience to the country." 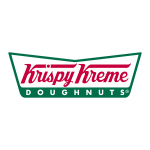 WINSTON-SALEM, N.C.--(BUSINESS WIRE)--Krispy Kreme Doughnuts, Inc., today announced a development agreement with Inversiones DBA-KKD de Costa Rica, SRL (“Inversiones”) to open 10 Krispy Kreme shops in Costa Rica in the next five years. The principal owner of Inversiones is Desarollo de Negocios Internationales, SRL, of which Miguel Hernandez is the managing director. Inversiones is also partially owned by 2.5 Investments, LLC. Hernandez said Costa Ricans will find Krispy Kreme shops to be their new favorite spot for something sweet and a premium cup of coffee. Krispy Kreme Doughnuts, Inc., is a global retailer of premium-quality sweet treats, including its signature Original Glazed® doughnut. Headquartered in Winston-Salem, N.C., the Company has offered the highest-quality doughnuts and great-tasting coffee since it was founded in 1937. 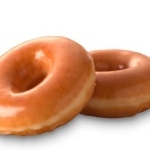 Krispy Kreme Doughnuts is proud of its Fundraising program, which for decades has helped non-profit organizations raise millions of dollars in needed funds. The Company has more than 1,000 retail shops in 27 countries. Connect with Krispy Kreme Doughnuts at www.KrispyKreme.com, or on one its many social media channels, including www.Facebook.com/KrispyKreme, and www.Twitter.com/KrispyKreme.